A New Jersey couple faces more than 550 counts of animal cruelty after 276 small dogs were rescued earlier this month from what one official described as "the worst hoarding situation" they had seen in Monmouth County. Charlene and Joseph Handrik, of Howell Township, were charged Friday with 276 counts of animal cruelty for providing inhumane living conditions to the animals and another 276 counts for failing to provide their dogs proper care. All of the charges are disorderly persons offenses. Ross Licitra, interim president, chief executive officer and chief law enforcement officer at the Monmouth County Society for the Prevention of Cruelty to Animals, said his group and prosecutors opted for disorderly persons animal cruelty charges rather than indictable counts because the dogs rescued from the couple's home were in relatively good health despite the deplorable conditions and neglect. The house raised suspicions from an Associated Humane Society official as he investigated a report of a dog on the loose by Bennett Road in Howell on June 2, authorities said. He was knocking on doors in the area when he came across the home, where a foul odor was emanating. No one answered the door there, but he heard dogs barking inside and notified SPCA. Officers responded and investigated, then launched the rescue operation the next day. Inside the home, officers found hundreds of Chihuahuas, Yorkies, pugs and mixed-breed dogs inside. Many were sitting on bookshelves. One shelf was specially built near the ceiling of the living room, "like a hamster cage for dogs," according to Tierney Park, a Monmouth Sheriff's deputy. "They have steps that go up to the shelf and there were dogs looking down and barking." There were others living under beds and even between walls. Many appeared petrified as they were brought out, having never been exposed to the outdoors. The Handriks declined to speak with NBC 4 New York outside their home after the dogs were rescued. Additional charges are expected to be filed against them, including charges for not properly licensing and vaccinating their animals. Information on attorneys for them wasn't immediately available. More than 40 of the dogs rescued from the Handricks' home were adopted from a New Jersey animal shelter last weekend. Some dogs are still in foster care, and some mother dogs are currently caring for their babies. 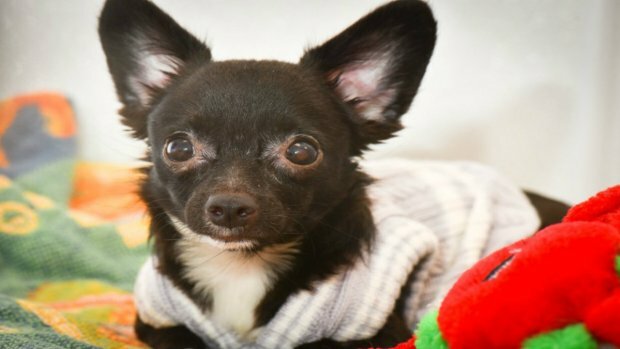 Authorities have seized 276 small dogs from a New Jersey home in what one official described as "the worst hoarding situation" they had seen in Monmouth County. Brian Thompson reports. About 25 of the dogs taken from the home were pregnant.